When Gran Turismo developer Polyphony Digital announced in early 2013 that the sixth installment in their critically acclaimed racing franchise would be coming exclusively to the PlayStation 3, even with the recently announced PlayStation 4 on the horizon, Evolution Studio’s DriveClub officially became the PS4’s one true racing hope. Unveiled alongside the PS4 only weeks earlier, the Motorstorm developer’s new racer promised the best of all its would-be contemporaries in one irresistible package: The graphical prowess of a next-generation Gran Turismo, the exacting attention to detail and club features of the Forza Motorsport franchise and a bleeding-edge social aspect that would trump both camps. Finally, after almost a year of delays and more than a few shaky public appearances throughout its development, DriveClub has finally left the factory and has been deemed ready for a test drive. Does the final product measure up to the modern expectations set by recent competitors Forza 5 and Forza Horizon 2, or at the very least serve as an adequate stand-in until Gran Turismo 7 inevitably arrives on PS4? 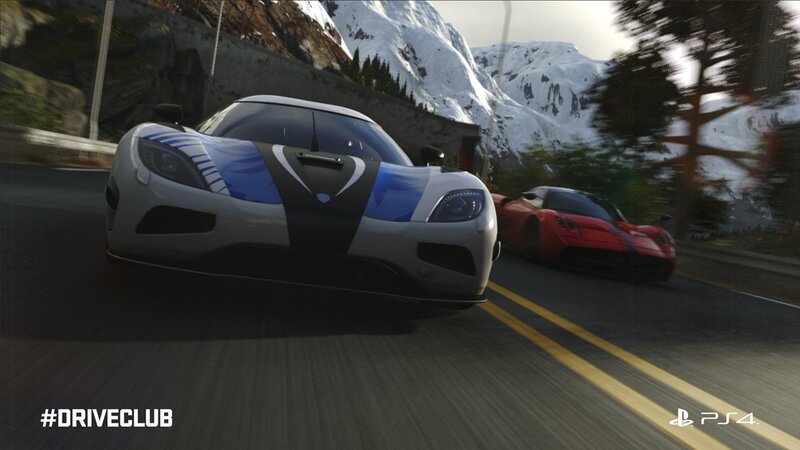 When players first fire up DriveClub, they’ll likely be surprised at how quickly they can dive right into the campaign and race. There’s no tutorial, no story about an unknown driver aiming to be a champion, nothing of the sort. You just pick a rookie event, an available car and start burning rubber. Each event or series that you participate in awards a given number of stars, which are earned by completing certain objectives during the event, such as “Finish in the Top 3” or “Win a Head-to-Head Cornering Face-Off” against an AI opponent. While it may not be necessary to complete every challenge to move on, players must accumulate a pre-determined number of “Stars” before they can unlock the next tier of events, so they’ll have to at least be moderately successful if they hope to advance well into the game. Then there are the tracks themselves. 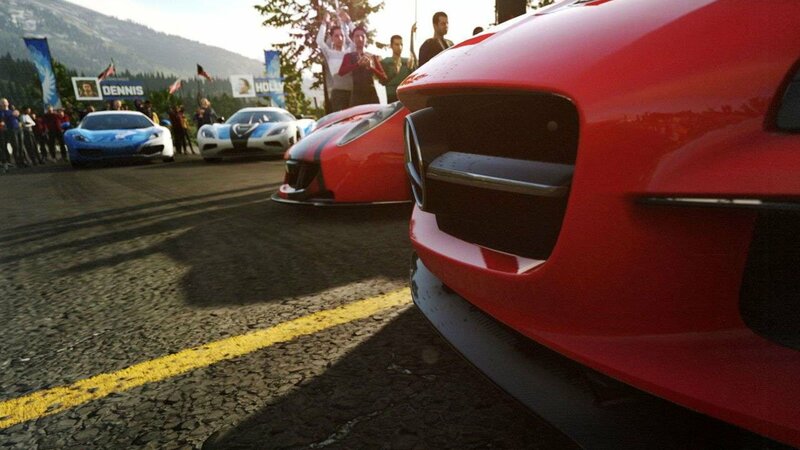 During the game’s development, Evolution Studios made no small amount of noise over the level of intricate detail they poured into each of DriveClub’s over 50 vehicles, right down to the Pagani-engraved screw heads and coats of paint that can be stripped off realistically when damaged, but once players have spent some time with the game they’ll soon realize that DriveClub’s tracks have now usurped the cars as the star attractions. 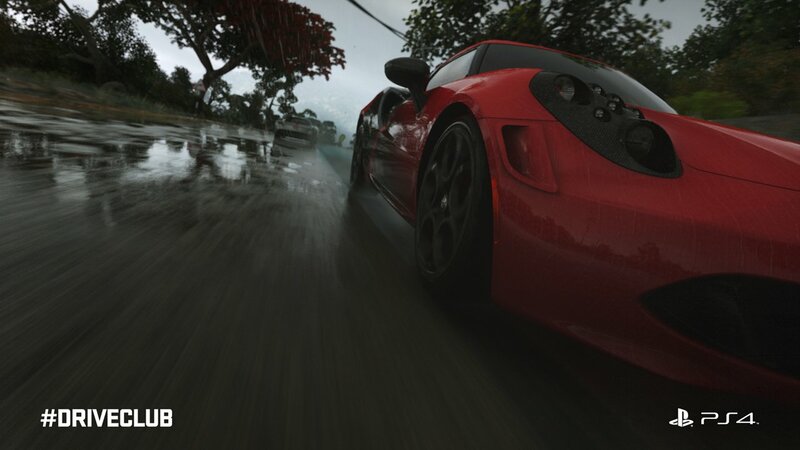 Based in countries as diverse as India, Canada, Chile, Norway and Scotland, DriveClub’s fantasy circuits are incredibly varied and feature elevations, inclines and environments that most players have never seen the like of in a racing game before, and the simulated day and night cycles, NASA data-generated night sky and cloud formations, mind-boggling lighting effects and more work together with these tracks in concert to meaningfully impact how players will drive on them. Dynamic weather, although promised, remains yet to be patched in. Unfortunately, even with all of these things going for it, DriveClub still manages to come across as constrained when compared to its current-gen Forza contemporaries as well as the most notable racing franchises of last generation, including Gran Turismo, GRID, Shift, and several others. Its aforementioned tracks, while fresh, original and gorgeously staged, feel narrow and confined, not only because of the numerous invisible walls disguised as non-threatening environmental objects (e.g. flimsy-looking metal crowd dividers or seemingly harmless patches of grass), but also by the design of many of the tracks themselves. Attempting a clean pass on many of DriveClub‘s single-lane roads is often akin to trying to thread a needle without touching the sides. 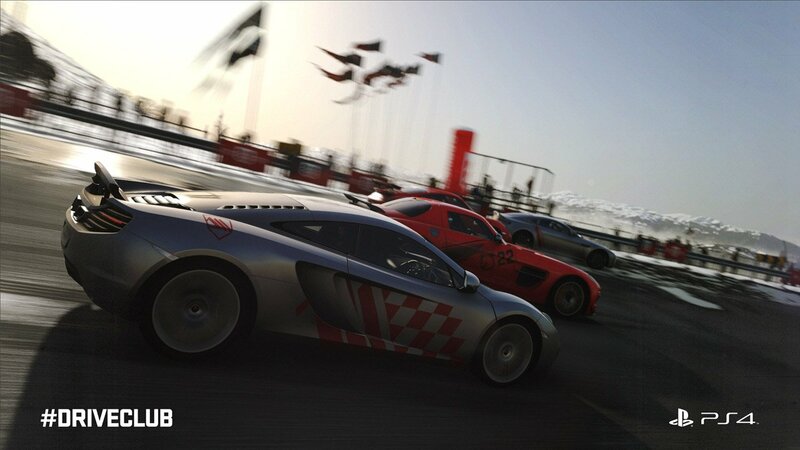 The constraint is also reflected in the car selection: The game’s Euro-centric stable of impeccably rendered cars will certainly please that segment of racers who are content driving only a handful of cars religiously, but players who have been spoiled over the years by Gran Turismo and Forza Motorsport’s 100+ rosters of fully tunable cars and custom liveries will be underwhelmed by what little personalization is on offer (i.e. paint jobs, club emblems and not much else). It should also be noted that at the time of this review, the DriveClub servers were still suffering from the network issues that have plagued the game since launch. Without access to the servers, players cannot create or join a club, nor can they access club-specific liveries, earn points for their chosen club when playing offline or issue and receive in-game challenges to and from other players. Needless to say, as long as DriveClub continues to struggle with connecting players to its servers and each other, the overall experience will continue to be a constricted and ironically anti-social one. 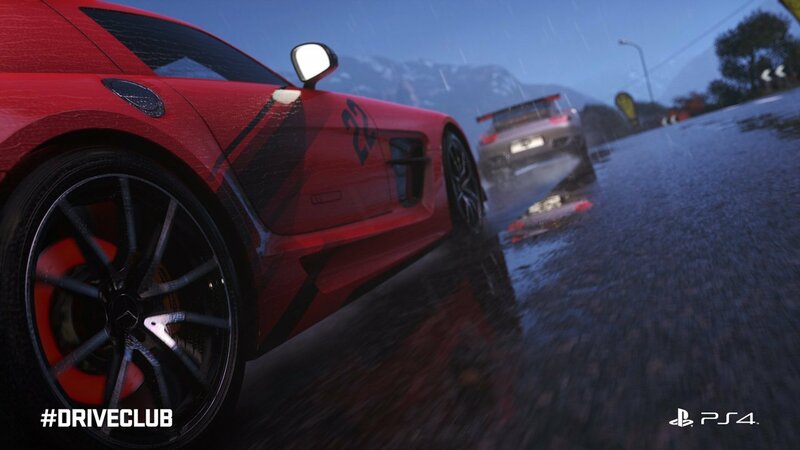 Whether you should take the plunge on DriveClub right now depends on how hard up you are for a serious racing option on PS4. It’s extremely difficult to recommend to anyone in its present state, as while the quality of the content measures up to the competition in its own unique way, the quantity is not enough to justify the $70 CAD price tag ($50 for PS Plus members) considering that there are several superior current and last-gen options out there. And don’t forget the online issues have effectively rendered half of what experience there as inaccessible. The advice of this reviewer to anyone interested is to simply wait. Wait for the free PS Plus version to test out all of the game’s features in action; wait for the inevitable improvements and reparations for existing owners of the game that will result in a better, updated DriveClub experience for everyone; and even consider waiting until next month when Slightly Mad Studios’ Project CARS arrives so that you’ll have a proper point of comparison before making your purchase. 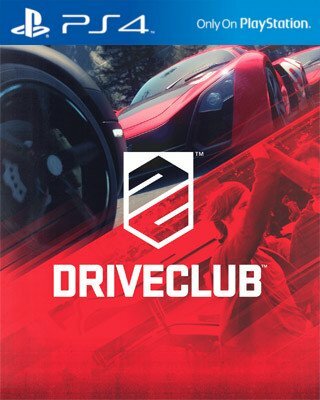 While I personally have faith that DriveClub will eventually live up to the “7 out of 10” score that a fully-functional version of the game would have deserved, a “6” will have to suffice for the product that is currently on retail and digital store shelves. When players first fire up DriveClub, they'll likely be surprised at how quickly they can dive right into the campaign and race.